I know what you’re thinking - “Aw, no! Not again!! Is this girl crazy or what?” Yes, the time has come again to make some changes. So, obviously, I have changed the name, design, domain, and packages. 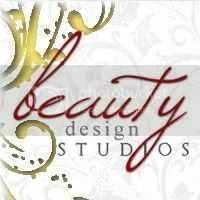 Very quickly – we are now Beauty Design Studios, the complete url is http://www.beautydesignstudios.com, and most important of all, I have removed the free package. I knew this day would come, but I still wish I could leave the free package up. Why can’t I? Well, I unfortunately just don’t have the time. It was so fun for me to offer free designs, and I really enjoyed it, but with all the things that need doing in my life, I need to shore up my packages. And just to remind everyone – those who have ordered free packages are still getting them free of charge. This loss of the free package only affects those who have not ordered yet. 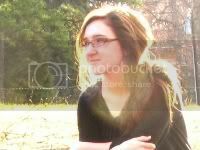 So, check out the rest of the site! I have made changes to nearly every page. And let me know how you like the new name and design! But…before doing that, look at Iona’s blog. We finished up her design a few weeks ago, and I really enjoyed working with her again! And as if that weren’t enough, I went and redid my own blog and website! (At least I’m getting some good practice that you all will benefit from. ;) Hopefully. Hey Hannah! I purchaced one of your packages a few weeks ago, and I was never gotten back to... I was wondering if there are more steps I need to complete other than the purchace of a package? From Under My Little Umbrella – Giveaway!